If you were one of the 250,000 estimated supporters lining the paths of the the annual Houston Marathon and Half Marathon, you watched nearly 27K people in running gear winding through the streets of Houston on January 14, 2018. The annual event was a perfect example of why runners look forward to January in Houston. 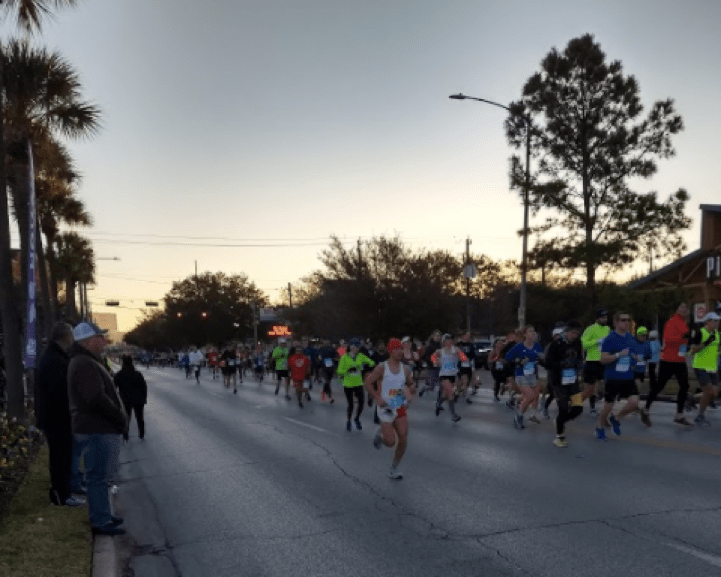 The early morning brought crisp and cold temperatures and a record setting course for the spotlight on Houston. While there were new records set for fastest times, the Calpine Corporation cheering tent was on-site focused on supporting the many runners, employees and volunteers of the Champion Energy Services hometown. Team Calpine fielded 56 runners with 26 coming from out of town to participate. While the Team Calpine athletes were running and focused on the finish line, they know they were also raising funds and awareness via the Run For a Reason Charity program. The program connects race participants to a philanthropic cause to raise funds and offers race registrations through the Hero Registration. This year Team Calpine worked together and selected their proceeds and efforts be directed as a group to one of the official charities, the Houston and Southeast Texas Chapter of Alzheimer’s Association. ALZ is the leading voluntary health organization in Alzheimer care, support and research. Team Calpine donated over $27,000 raised by the Houston based team. The Calpine sidewalk cheering and support tent was shared on race day by both Calpine and ALZ volunteers encouraging runners to keep their pace. The Alzheimer’s Association is the community’s leading source of dementia and brain-health information. The regions chapter serves 140,000 families affected by Alzheimer’s disease in 37 counties in southeast Texas. 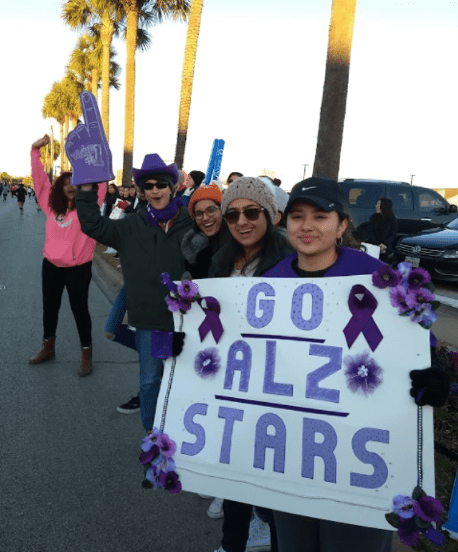 Learn more at www.alz.org/texas and at the Chevron Houston Marathon Run For a Reason program. This entry was posted in Community, Inside Champion and tagged community, volunteering on January 31, 2018 by Champion Energy.